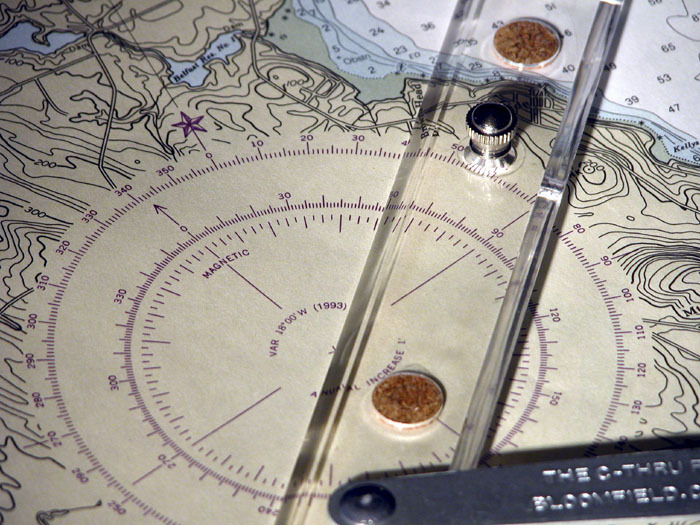 Many small scale charts provide Loran lines, which indicate the time difference expected between receipt of "master and slave" radio signals in the Loran electronic navigation system. This chart, Penobscot Bay and Approaches, #13302, has four different sets of lines, improving a navigator's chance of getting an accurate electronic fix. Loran receivers indicate by number which signals they are getting, and the navigator finds the numbers and uses them to plot a fix. Lieut.enant Matthew Fontaine Maury is renowned for his work collecting ships' logs and gathering information around the world about wind and current patterns at different times of the year. 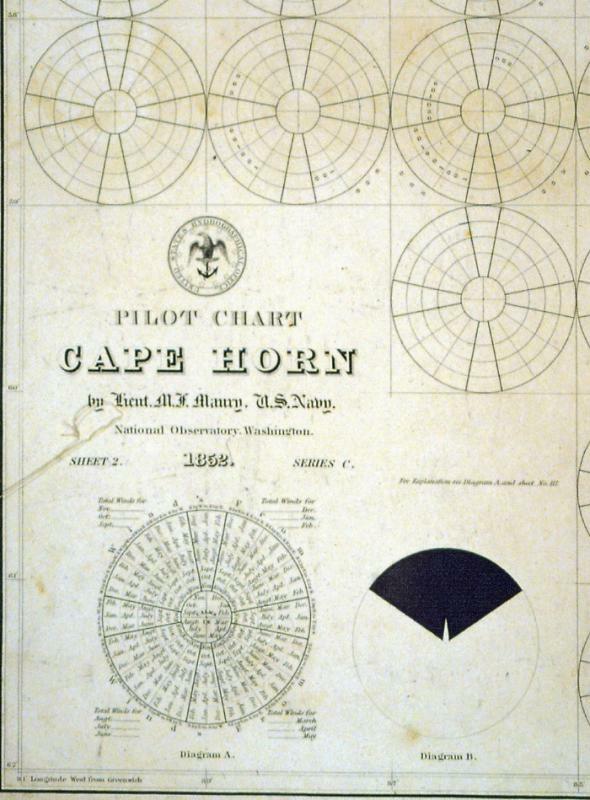 As a result of this work, he was able to compile the information into a graphical form called a Pilot Chart. This early version provides wind information for each 1 degree by 1 degree area of the ocean around Cape Horn. The information helped captains determine the most efficient and safe routes to get to their destinations. London chart publisher James Imray was known as one of the best makers of "blueback" charts, those charts so large that they required a backing piece of paper to support the two or three sheets of printed chart paper. 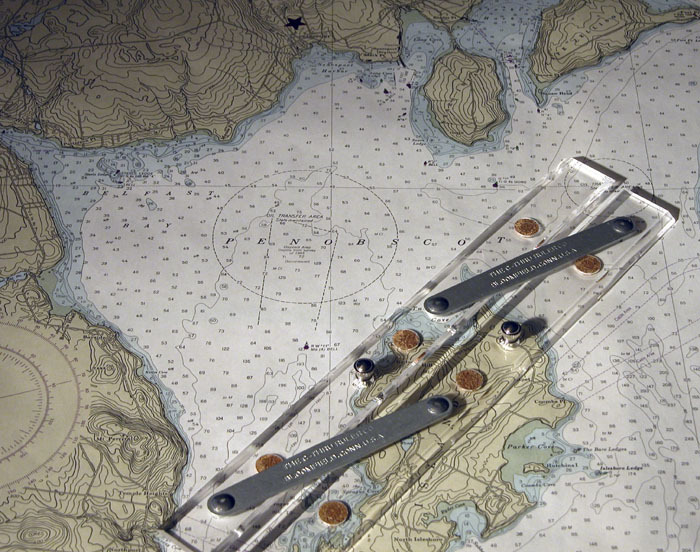 These were commonly found in the chart collections of Maine ship masters as they provided world wide coverage. 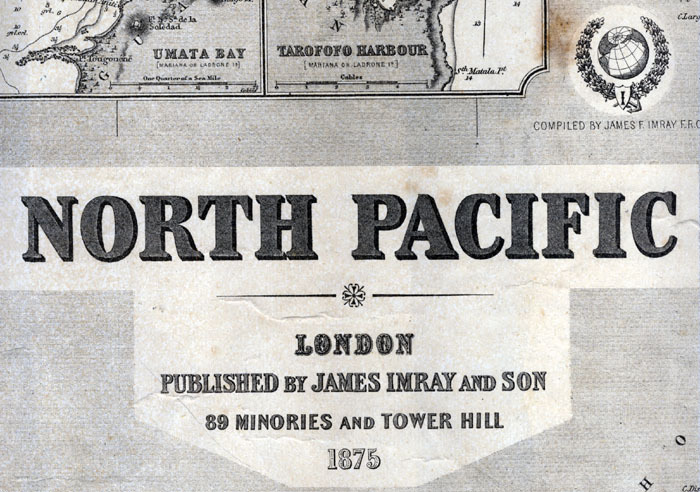 This chart is of the North Pacific Ocean published in 1875. 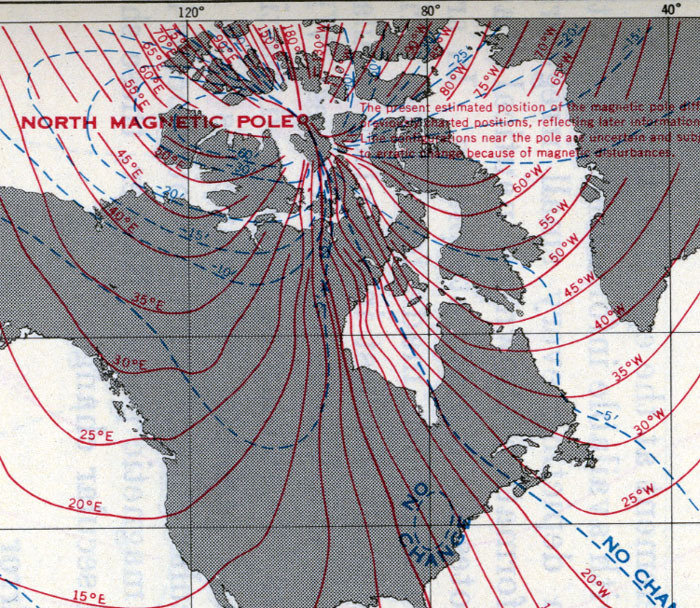 This map shows not only the lines of magnetic variation in North America, but also the approximate location of the north magnetic pole. Called "The Variation of the Compass for the Year 1955," it is from Bowditch's "American Practical Navigator," H.O. Pub. No. 9, 1962, p. 163. Penobscot Bay's variation is approximately 18 degrees west. 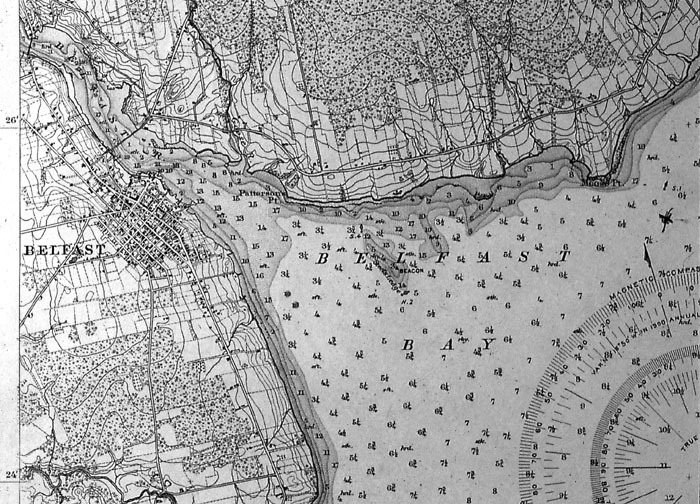 This is a detail of the Penobscot River and Belfast Bay Maine chart, published by the U.S. Coast Survey in 1882. 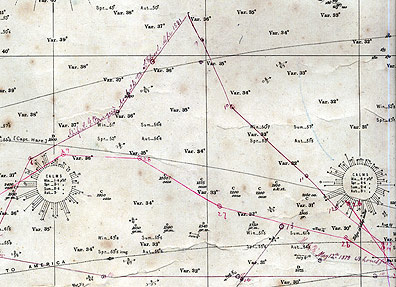 Details on the chart include where there are and aren't trees, as well as the first bridge at the head of the harbor. The granite beacon on Steel's Ledge at the mouth of the harbor is still in position, but now there is a bell buoy off the ledge that marks the harbor entrance. The bridge at the head of harbor is the first one; a second one followed in 1923, and an elevated bridge was built in the 1960s. The 1923 bridge is now a footbridge. Capt. 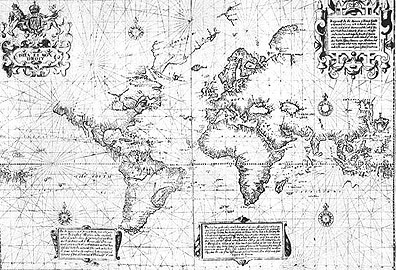 Henry A. Starrett kept a track on his North Atlantic chart of where he was going, as he sailed the ship Levi G. Burgess back and forth to Europe. This track, which is kept up once a day, shows that the wind is not always in favor of getting the ship home most directly. The Burgess was a Thomaston built and owned Down Easter built in 1877 and sold into the Pacific Coast trades in 1887 and then into the salmon business in 1910, where she worked until broken up in 1928. 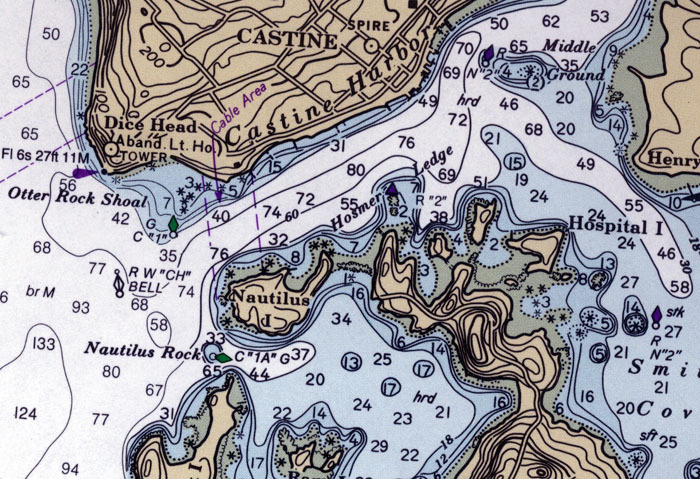 This chart of Castine Harbor shows the detailed information provided on a nautical chart, including water depths, rocks and shoal locations, an abandoned lighthouse, buoys, and the intertidal zone, the area that dries out at low tide. This is a modern chart, now available digitally on line and on Global Positioning System Devices. 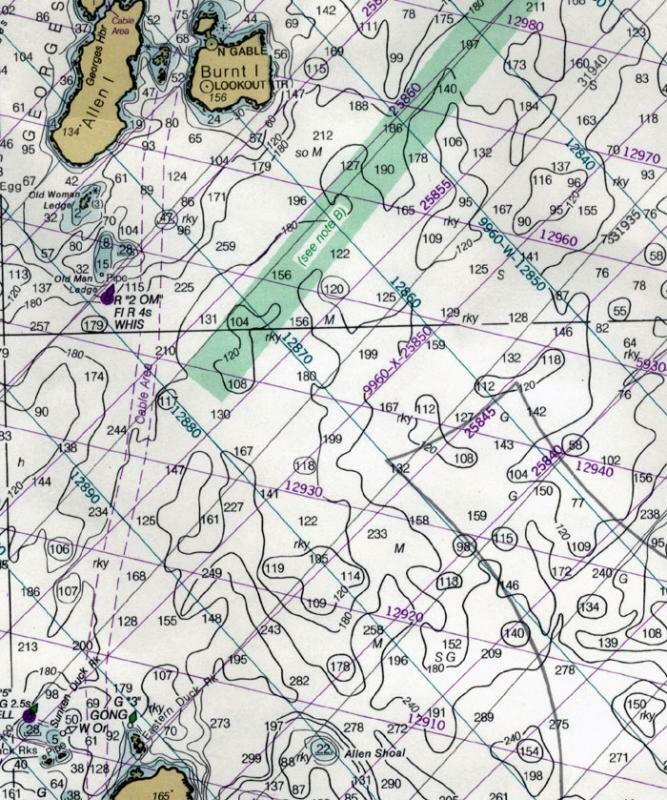 This is a detail from NOAA Chart 13309, Penobscot River.